Are you troubled with your bluetooth speaker’s battery? How about a speaker with built in power bank that too at a really affordable price? 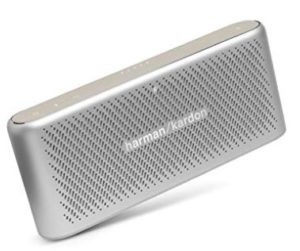 Buy Harman Kardon Traveler Portable Wireless Speakers with Built-in Power Bank at only Rs 4999 i.e. 50% discount. Order now before the product goes out of stock. Additional 10% instant off on payment with HDFC card + 5% extra Amazon Pay cashback on this product. How to Buy Harman Kardon Traveler Portable Wireless Speakers with Built-in Power Bank at only Rs 4999? 6. Finally, Click on “Place your Order and Pay” >> Complete the remaining process and your order will be placed. 7. You will get an estimated delivery date for your product. Till then relax and enjoy your discounted purchase on Amazon. i use this.. you should also try Romoss PowerBank Sens Mini PHP05 5000 mAh – Noir from coucoutunisia.com. use it yo charge my smartphone while I am away from home, and it works absolutely perfect.